Do you have a lumbar bulging disc? Most of us do. Actually, bulging discs are now considered almost completely normal, especially at L4/L5 and L5/S1. 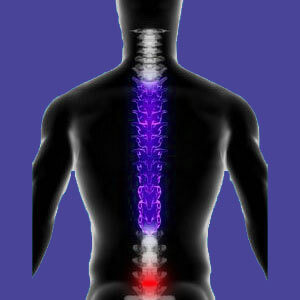 Bulging of the spinal discs has been a continual focus of our research projects for more than a decade. We have discovered the exact same outcomes as every major medical study completed over the past 3 decades, which is no surprise to us, but still seems quite shocking to our readers. The fact that so many of you still have no evidence-based understanding of bulging discs scares us to the core and explains why so many patients end up in unnecessary long-term treatment and as victims of unnecessary and barbaric surgery. 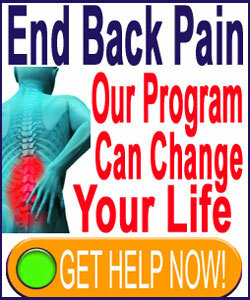 Therefore, we will use the forum provided by this website to make the facts of bulging spinal discs crystal clear. This important topical essay delves into the realities of bulging lumbar discs. We will provide evidence on the incidence of bulging spinal discs and the typical effects these structural abnormalities create in the anatomy of the backbone. We will examine exceptions to the rule of bulging discs and how these conditions should be treated using a variety of care approaches, some of which are relatively unknown to the general public. If you have a herniated disc in the lower back or any type of bulging lumbar disc, then this investigative report is a must read. What Exactly is a Lumbar Bulging Disc? A bulging disc is a subjective diagnostic term that can be used to describe a minor herniation or simply slight asymmetrical “swelling” of the disc. Bulging does not indicate swelling or inflammation in the classic sense, since the disc does not grow larger or retain fluid. In fact, the bulging portion of the disc actually makes it thinner and less capable of providing adequate space in between vertebral bones. We cover the exact meaning of all of these diagnostic names on Herniated-Disc-Pain.Org in the section covering What is a herniated disc?. Bulging discs are incredibly commonplace. Many research studies have concluded that bulging is actually a normal reaction to intervertebral stress and that many discs bulge and resolve from bulging as normal parts of their lifecycle. Some studies even go so far as to report that intervertebral bulging occurs constantly in reaction to movement and force applied to the spine. Advanced medical imaging has made it easier to see the effects of all the typical life processes on the lumbar spinal discs in real time. It is well known that intervertebral bulging is in no way inherently symptomatic. Most bulges will not cause any pain whatsoever, now or in the future. However, all bulges have the potential to create pain and neurological dysfunction if they negatively influence nerve tissues, such as the spinal nerve roots or the spinal cord. In the lower back, the spinal cord ends, but there are many opportunities for disc pathologies to compress or chemically irritate the cauda equina nerve roots individually or en masse. Any type of bulging or herniated disc can cause symptoms through 2 possible mechanisms: nerve compression or chemical radiculitis. We detail both of these mechanisms of action in this website and have written much on these topics throughout the sites of The Cure Back Pain Network. The main point to remember here is that if a nerve is not compressed or chemically irritated, there is no reason to even suspect a bulging disc as the cause of coincidental back pain. This is a mistake committed in terrible proportions in the lower back pain treatment industry, where many innocent bulging discs are diagnosed as the symptomatic cause and treated, often surgically, with horrific results. Do I Need Treatment for a Lumbar Bulging Disc? We suggest having any bulging disc evaluated by a spinal neurologist. Although many orthopedists specialize in disc conditions, neurologists are much better suited to correlate symptoms to the diagnosed disc, since this is what they do. If the nerves are not being affected, then the disc should be considered a nonissue. We also recommend getting more than one diagnostic opinion on any disc that is implicated as being pathological. If your disc is verified as the origin of pain, then you still have several effective options for treatment. As long as the disc is contained and not displaying an annular tear, then nonsurgical spinal decompression might provide a true, lasting and noninvasive cure. This is always advantageous over disc surgery. If you are interested in the surgical treatment path, then you might want to consider less invasive approaches, like IDET or nucleoplasty, in contrast to the more widely used and disappointing discectomy. Definitely try to avoid more invasive care approaches when possible, including laminectomy and the addition of spinal fusion to any type of disc operation.